A friend, with deep awe, calls my brother--the psychologist who bow-hunts, makes knife blades, and killer campire coffee--the "professional boy scout." 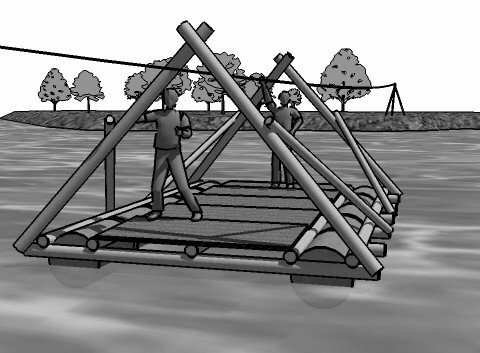 This site is for him: Ropes and Poles, a South African scouting blog dedicated to making all kinds of wilderness gizmos, from a trebuchet to camp couches to a pontoon raft. And don't miss the step-by-step guide to building a treehouse.